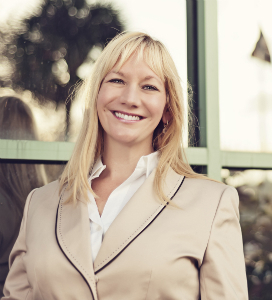 In practice since 2004, Attorney Melody Lankford is a Daytona Beach business lawyer serving clients throughout Central Florida, serving a vast range of clients, including employees and independent contractors, small businesses and start-ups, medium-sized enterprises and large corporations. Attorney Lankford earned her degree from Davidson College in 2001. She then went on to earn her J.D. degree from Florida State University’s College of Law, graduating in 2004 and passing the bar exam shortly after that. She started her legal career by joining the Raydon Corporation, working as the in-house legal counsel. She held this position from 2004 through 2012, when she went into private practice and established her own law offices, the Lankford Law Firm. Company consulting services and business formation assistance, including the formation of business entities such as a corporation, LLC or partnership. Guidance developing a business plan and risk management strategy that serves to minimize risk, while maximizing profits. Reviewing and drafting business contracts and agreements, including asset purchase agreements, non-disclosure agreements, non-compete agreements, employment contracts, work for hire agreements, consulting contracts, severance agreements, lease agreements and beyond. Offering guidance with the drafting of various policies and procedures, including company policies, hiring policies and employee handbooks. She can also ensure these policies are in line with local, state and federal laws and regulations. Assisting with intellectual property issues, including copyrighting, trademarking, trade secrets and protecting intellectual property and pursuing infringement cases. Providing guidance for government contractors who need help and guidance to draft well-written bid proposals and negotiating on your behalf. Offering help drafting lease agreements, rental agreements and assisting with issues such as landlord-tenant disputes and evictions from your rental property. Working with companies to address human resources issues and personnel-related problems, such as employee evaluations, hiring practices and employee termination. Melody Lankford can help you take appropriate measures to avoid allegations of wrongful termination, ethics violations or another accusation of wrong doing. Consulting and offering legal advice or representation in cases involving allegations of discrimination, sexual harassment, unfair hiring practices and other legal matters. Negotiating business deals on your behalf, in addition to representing individuals and companies in dealings such as negotiations, arbitration, administrative hearings or in-court proceedings such as lawsuits. Melody Lankford has a range of different credentials, qualifications, and affiliations. She is a member of the Volusia County Bar Association, the Preferred Business Group and the Tiger Bay Club. Melody is a member of an organization called Networking Connects Women. Networking Connects Women is an organization that strives to forge connections between female entrepreneurs, business owners and female executives who are seeking to form new beneficial partnerships, while maximizing their professional growth and driving success. Additionally, Attorney Lankford is a member of the board of directors and a chairwoman-elect for an organization called The Arc of Volusia. The Arc of Volusia is a group that is committed to providing unique learning and growth opportunities to adults who are living with developmental disabilities. When she’s not dispensing legal advice, negotiating on behalf of her clients or dealing with legal matters on her clients’ behalf, Attorney Lankford can be found spending time with her family, serving as a member of the PTA and working as a Cypress Creek Elementary School classroom volunteer. Whether you’re a freelancer who needs help to draft a work for hire agreement, require help to start a new company or need an experienced business attorney to offer sound legal advice or represent your business in a legal dispute or lawsuit, turn to Florida attorney Melody Lankford. Whatever your business legal needs my entail, you can proceed with confidence knowing you’ve hired an experienced attorney who has the knowledge and experience required to minimize any losses or stress, while simultaneously maximizing your chances of seeing a positive resolution to any legal issues that do arise. When you work with Melody Lankford, you’ll be working with a lawyer who offers flexible appointment scheduling outside of normal business hours, as she recognizes that not every client has the ability to meet during the traditional 9 to 5 workday. In addition, Attorney Lankford can come to your place of business. She works with clients throughout Daytona Beach and the surrounding region of Central Florida, including Volusia County, Brevard County, Flagler County, Orange County or Seminole County. So, if you need help with business law matter, contact Attorney Melody Lankford, of Lankford Law Firm. She is now available to provide you with a fully confidential free consultation session to discuss your case. Contact the Lankford Law Firm for a consultation today at 850-264-7004 or email us at: [email protected] Se Habla Español.